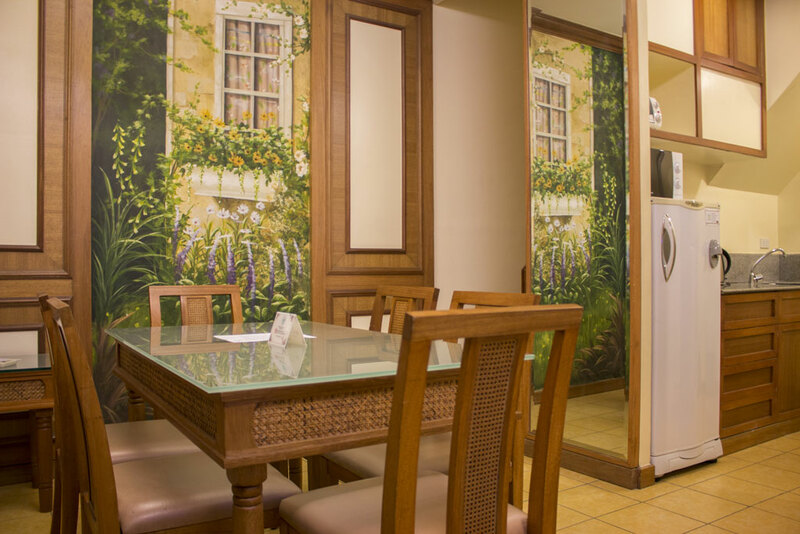 Combining elegance, comfort, and style, The Legend Villas features rooms and rates tailored to let you delight in ease during your city holiday. 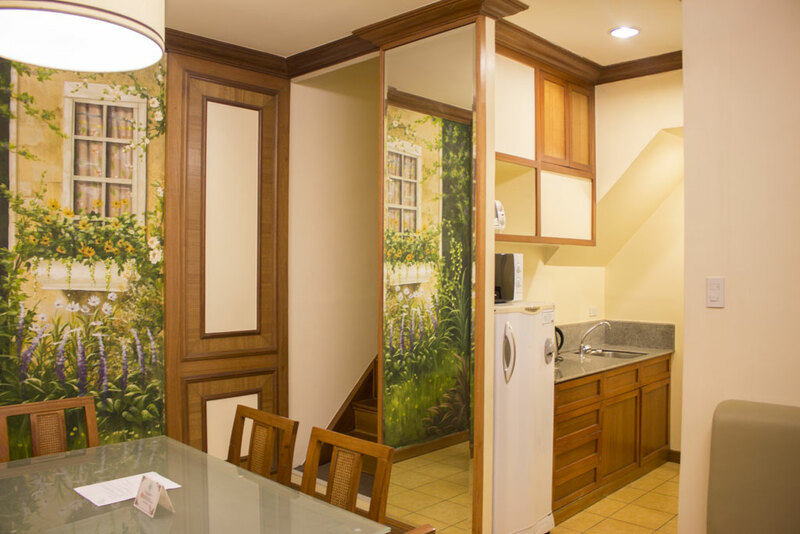 Each of our 130 accommodations is fitted with warm-toned, vintage furnishings and cozy wooden accents, along with a line-up of key amenities. 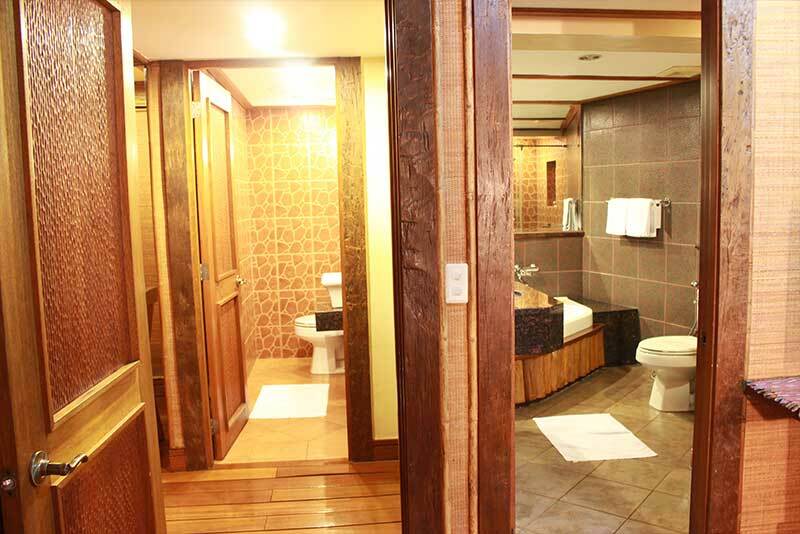 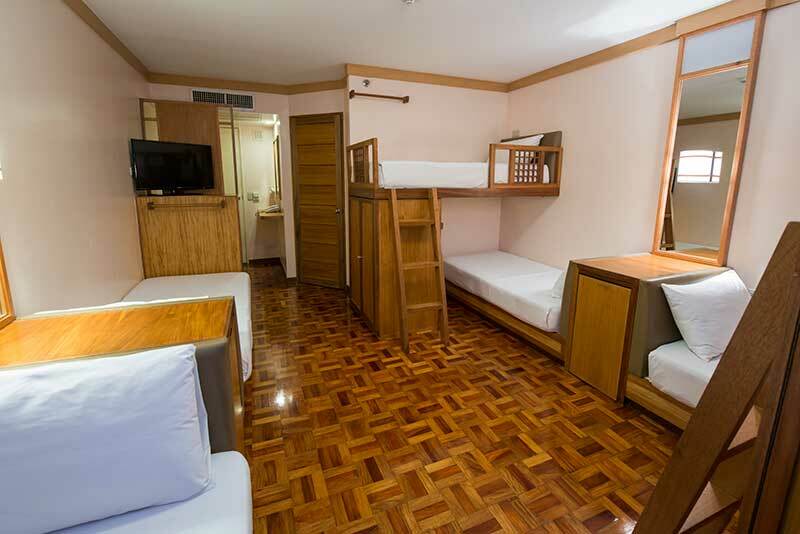 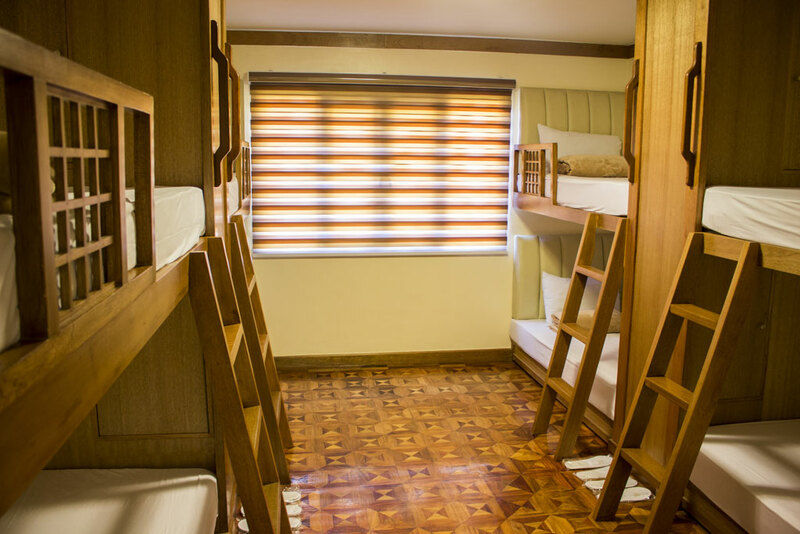 Inside them, you will have access to cable TV, air-conditioning, a mini-bar (upon request), private toilet and bath, phone, work table, and Wi-Fi Internet connection. 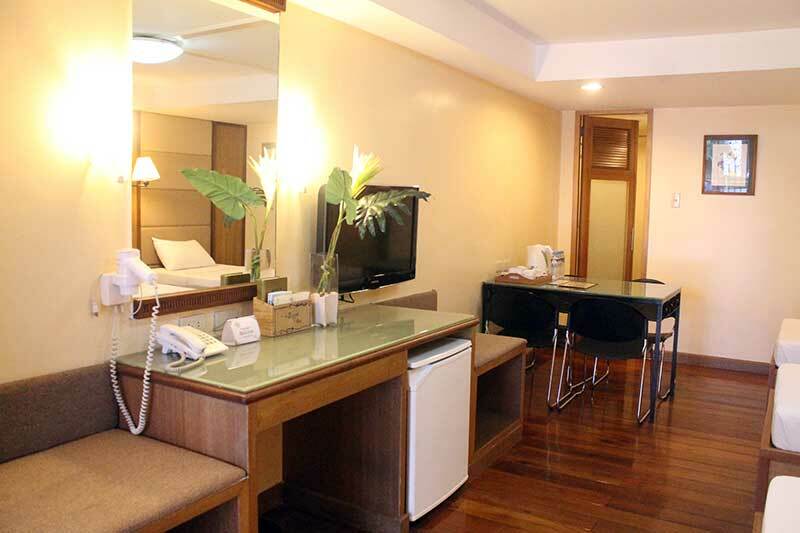 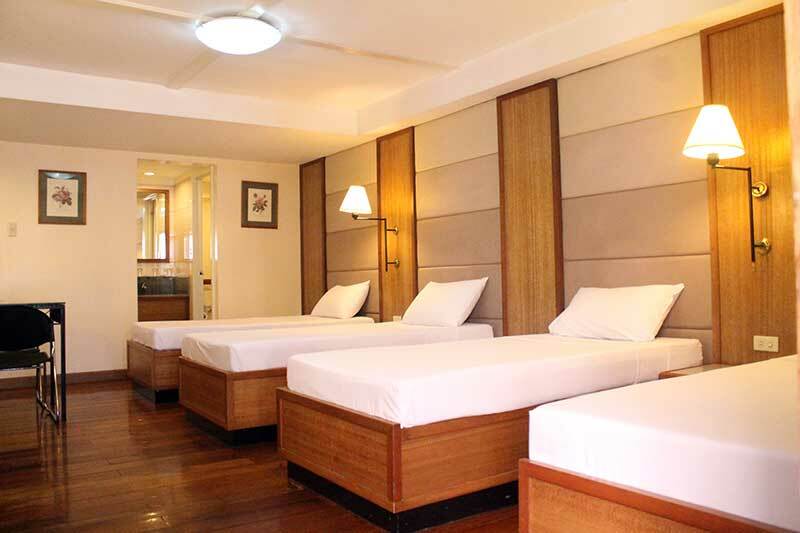 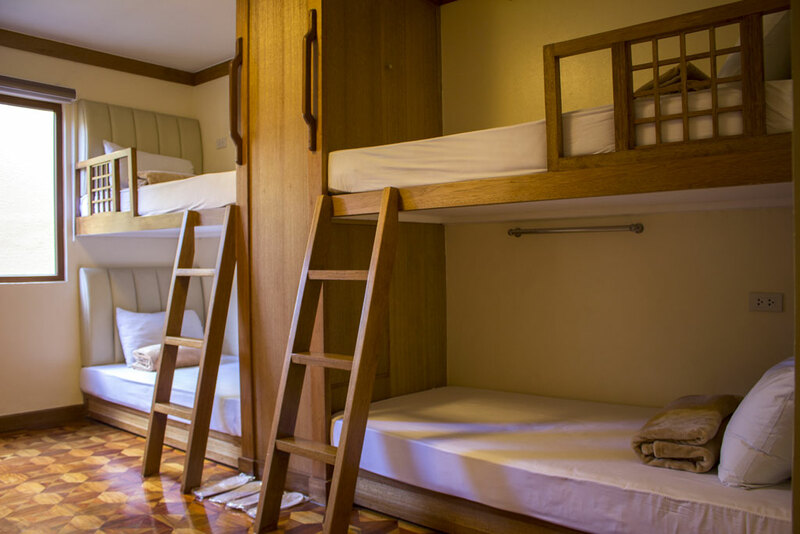 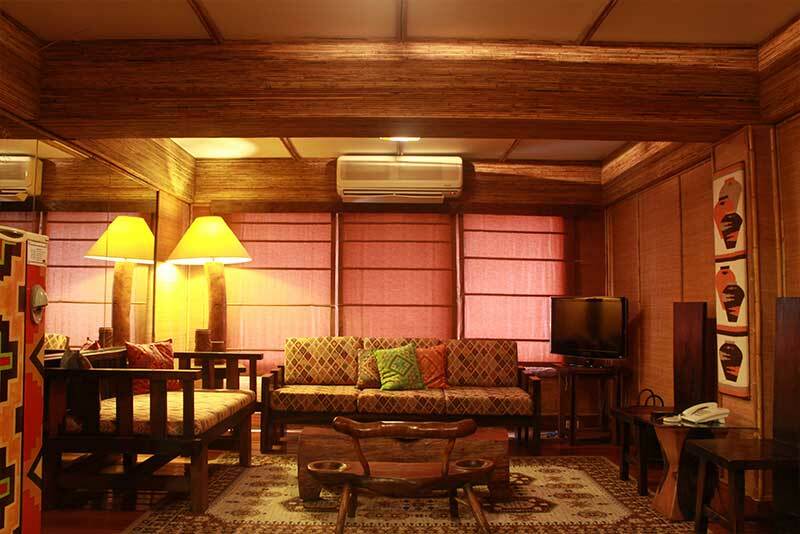 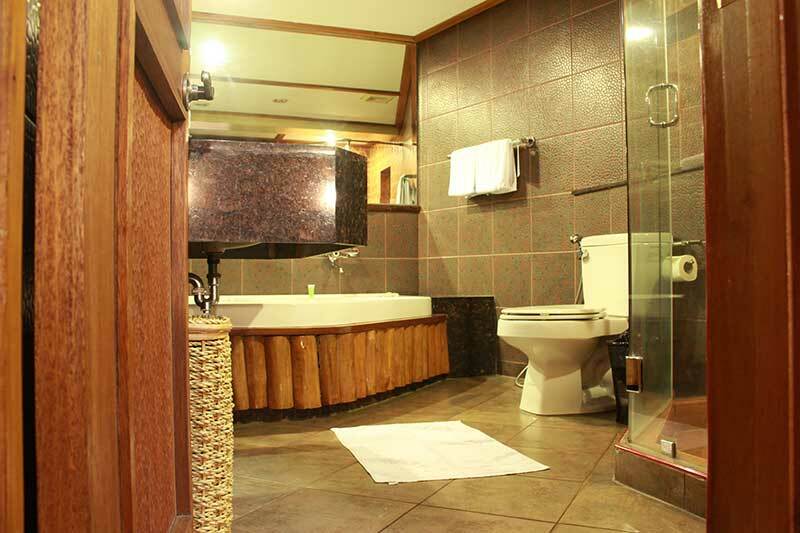 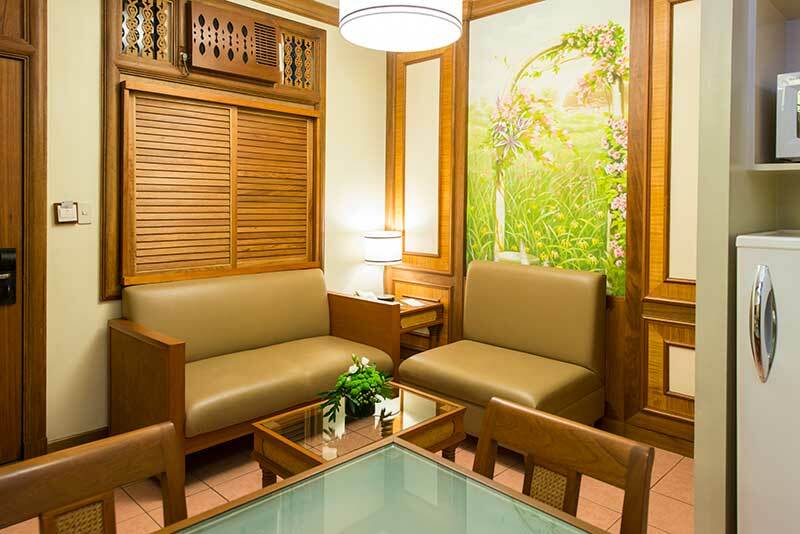 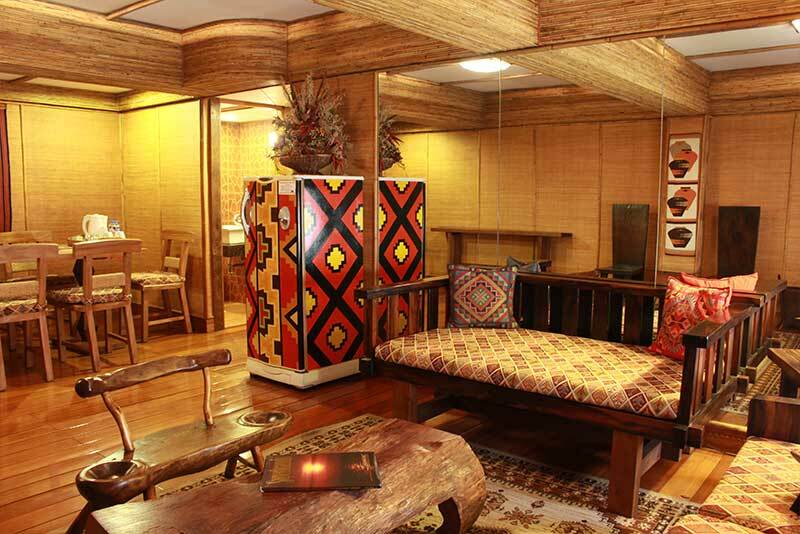 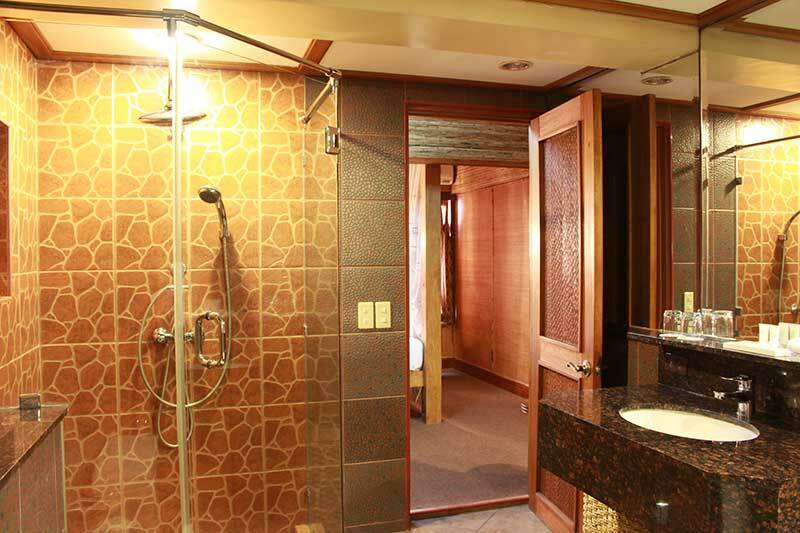 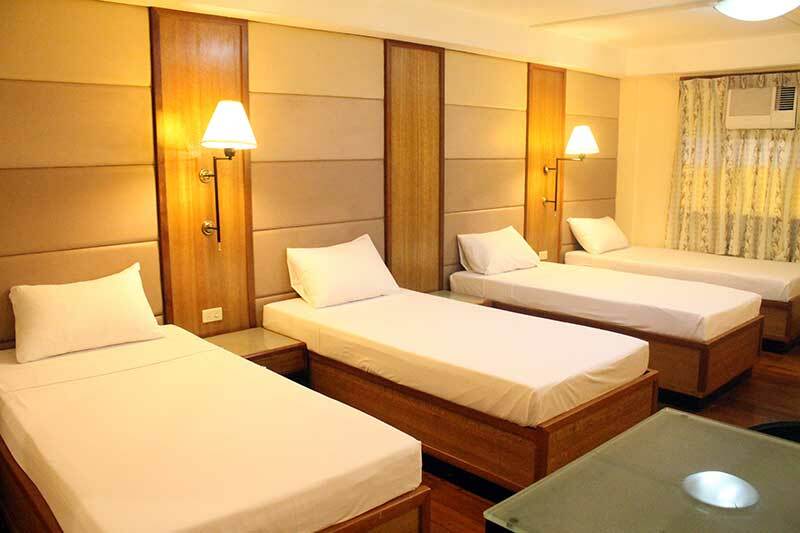 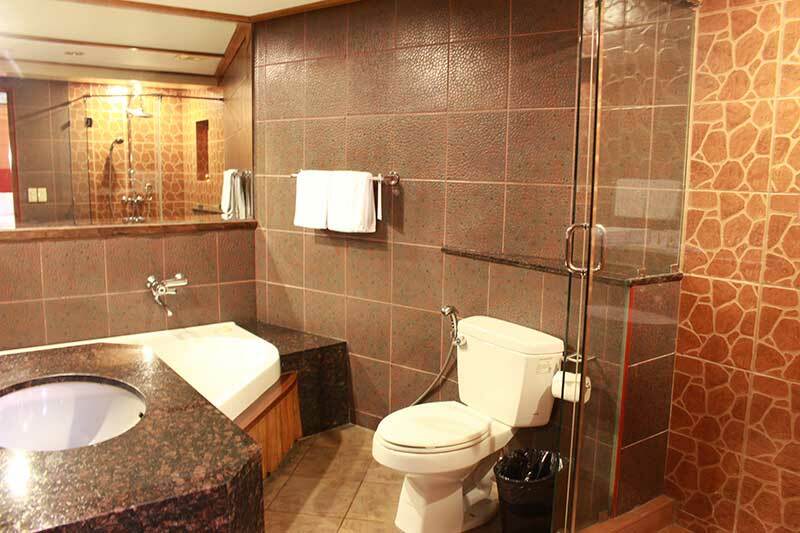 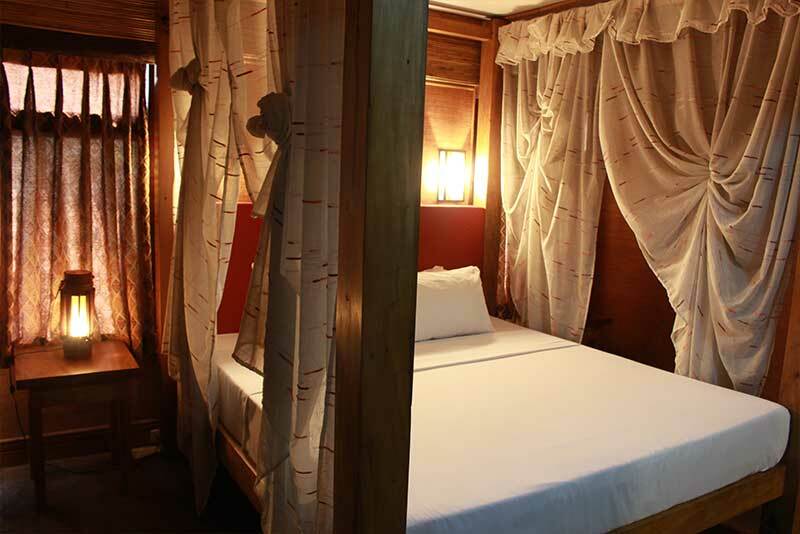 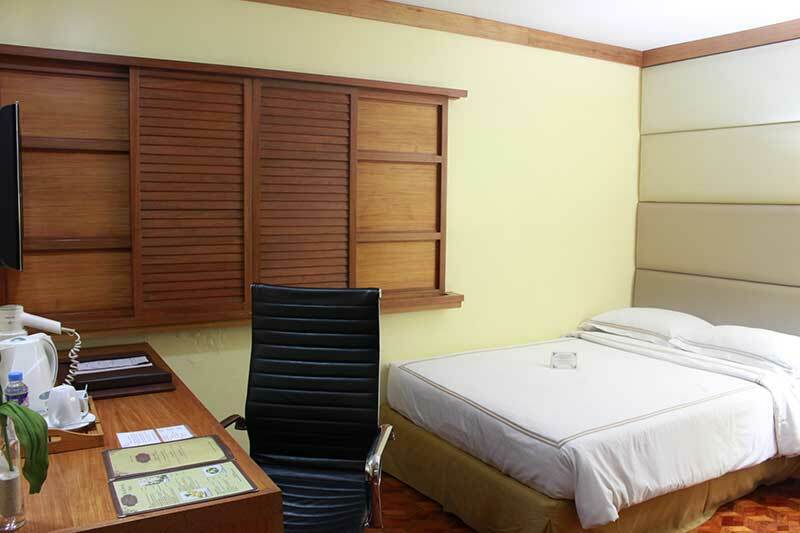 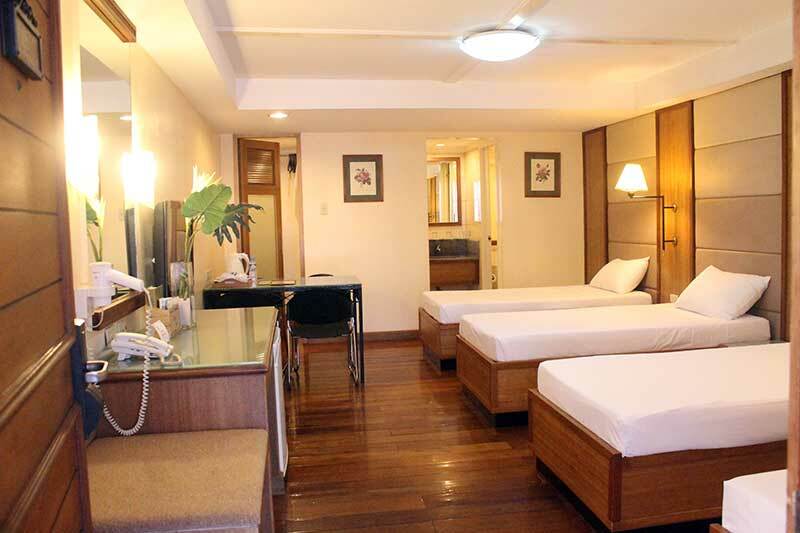 This guestroom is ideal for traveling businessmen, couples, and small families. 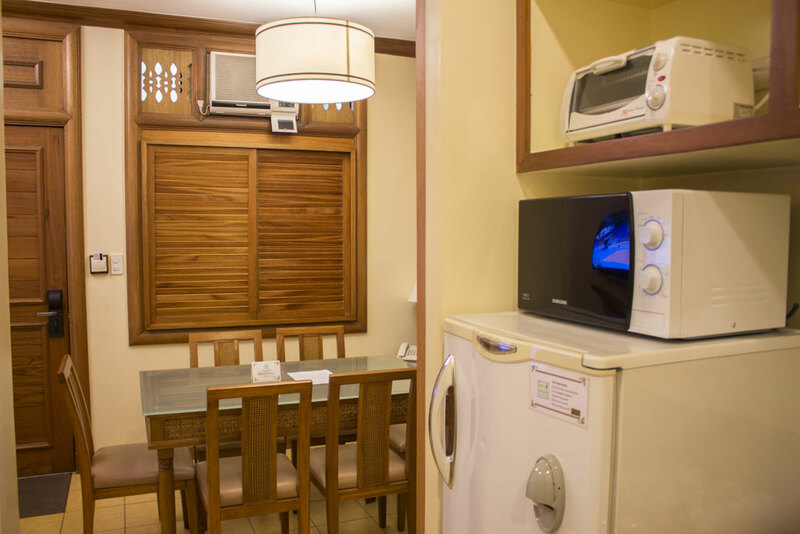 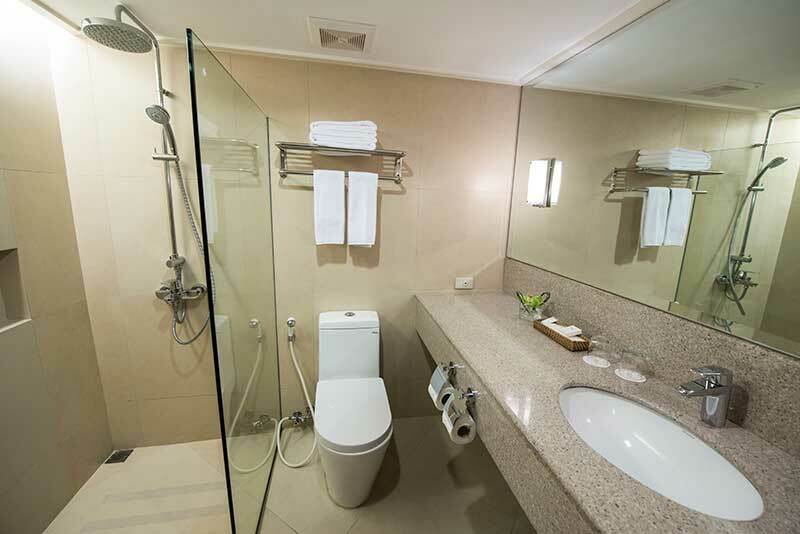 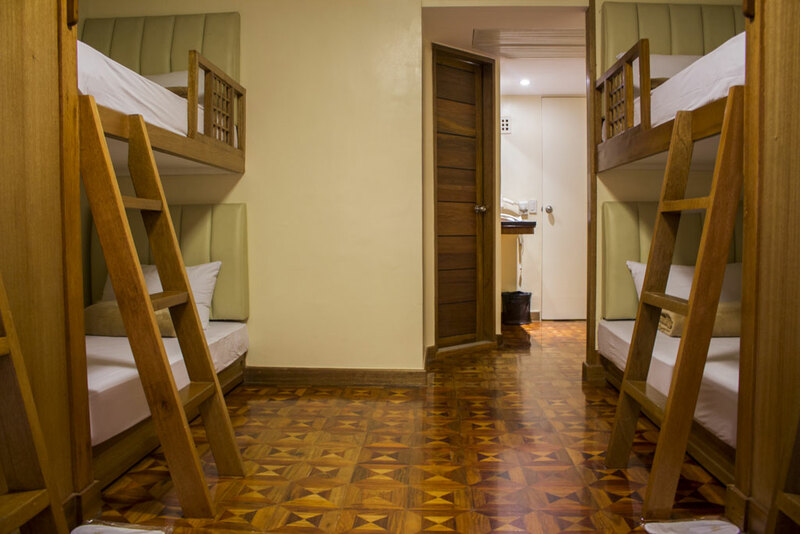 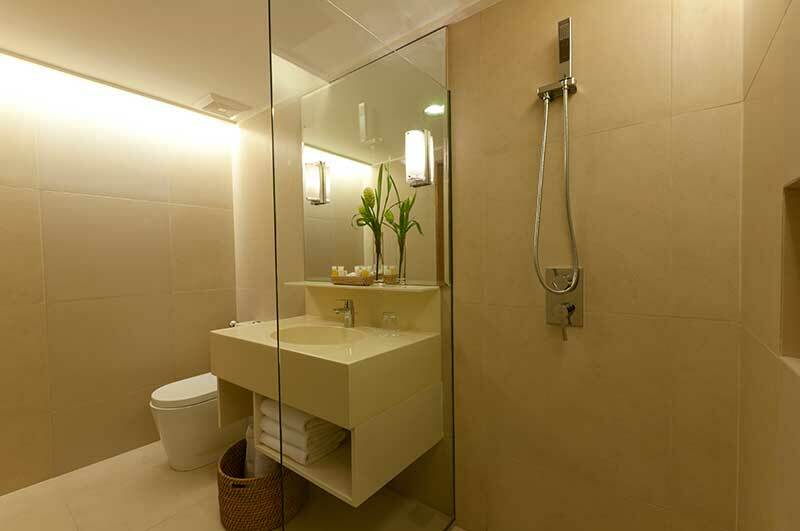 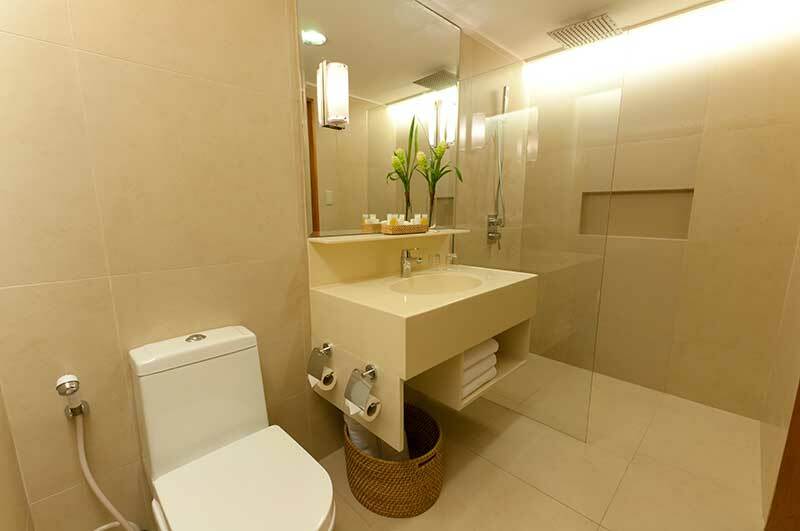 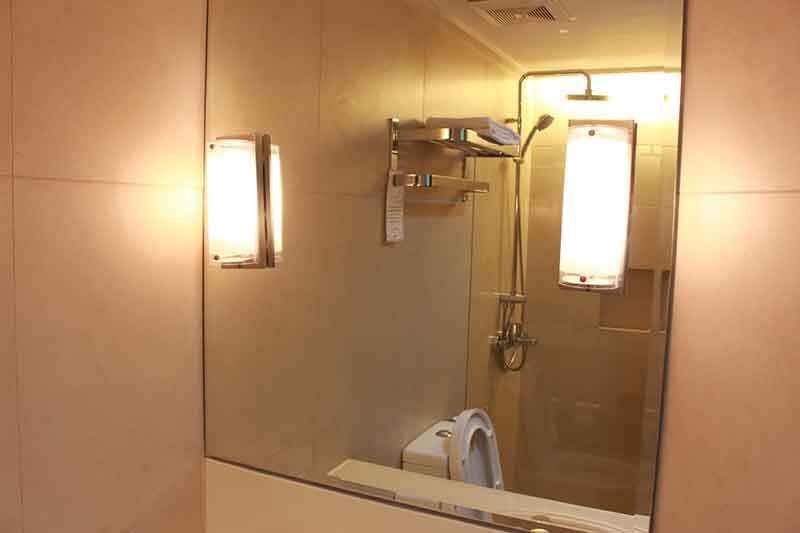 These exceptional bi-level, extended-stay apartments at our hotel in Mandaluyong present utmost in luxury in a very homey setting, complete with kitchen facilities. 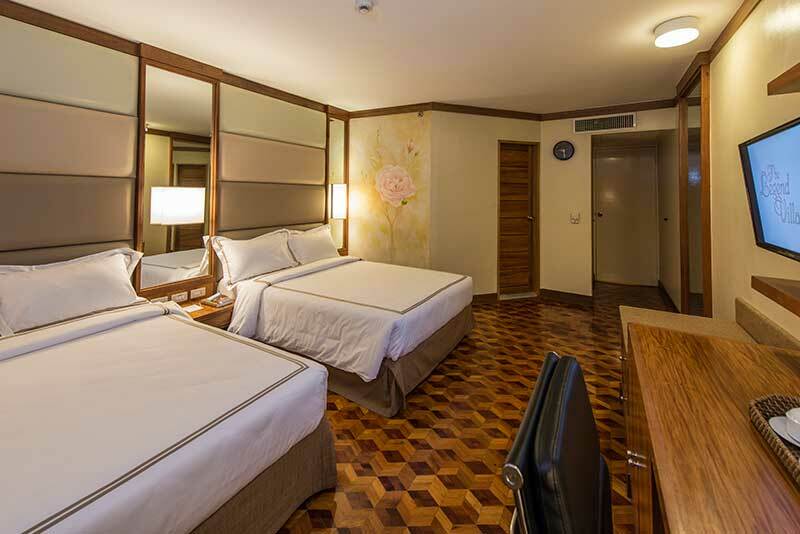 Easily the best choice among hotel rooms near Ortigas. 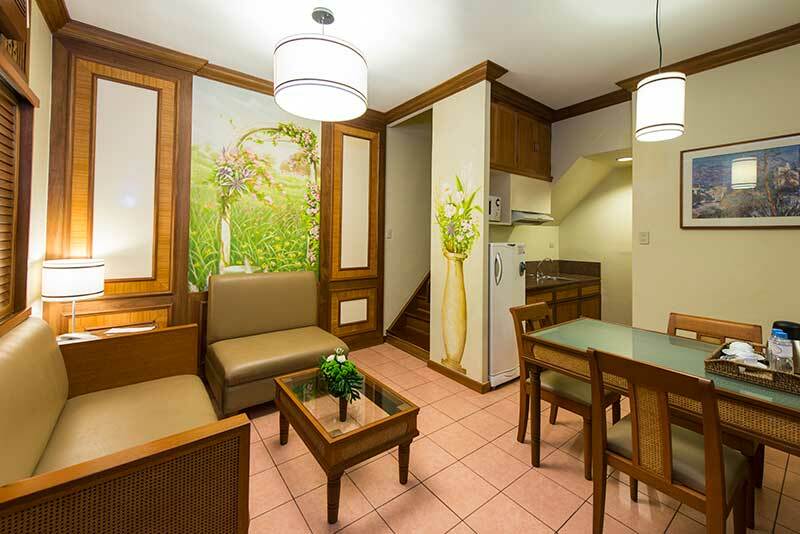 Spacious and cozy, this room type is perfect for the whole family. 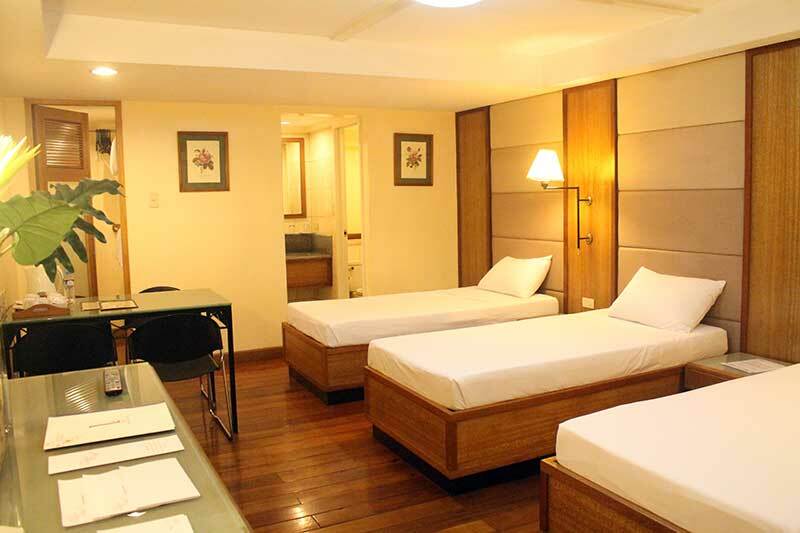 Nothing less from the best hotel in Mandaluyong. 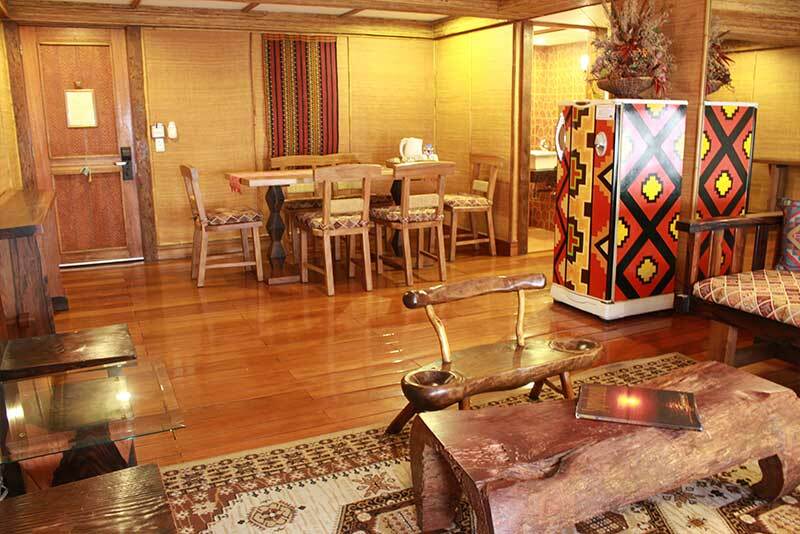 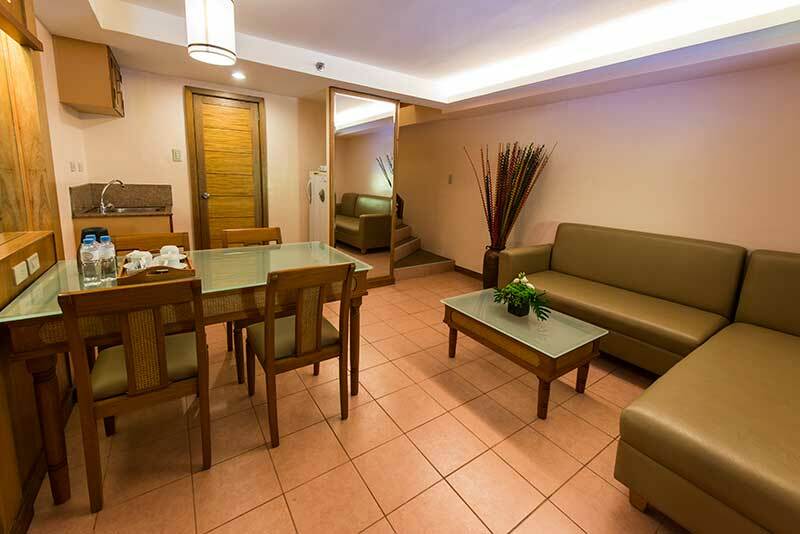 Great for seminar participants, business associates, student groups, or the whole barkada, the bi-level Team Suites at our hotel in Metro Manila can comfortably fit a group of six (6). 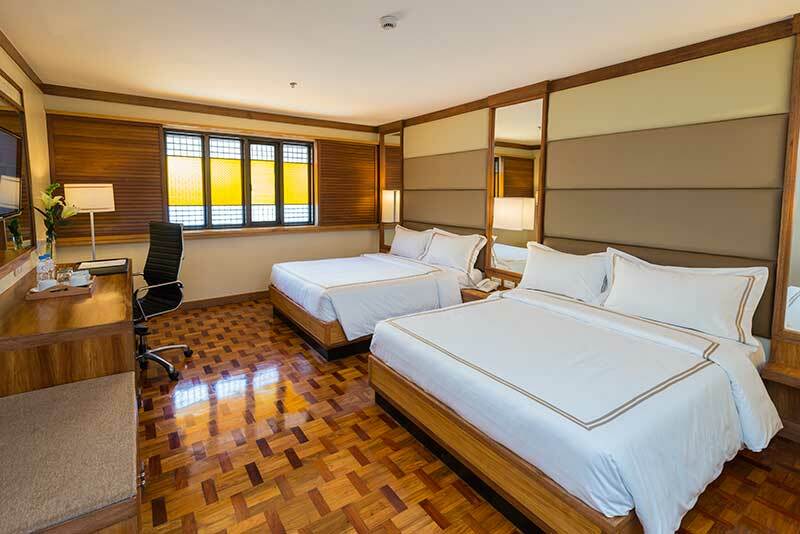 Great for seminar participants, business associates, student groups, or the whole barkada, the bi-level Team Suites at our hotel in Metro Manila can comfortably fit a group of eight (8). 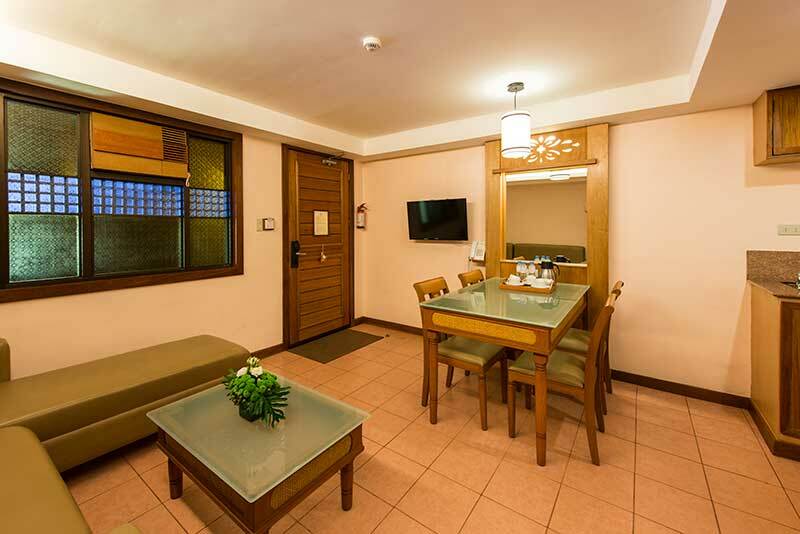 Ideal for wedding preparations, honeymoons, and family staycations, our Executive Suite lets you experience simple luxury amid tastefully executed Filipino touches. 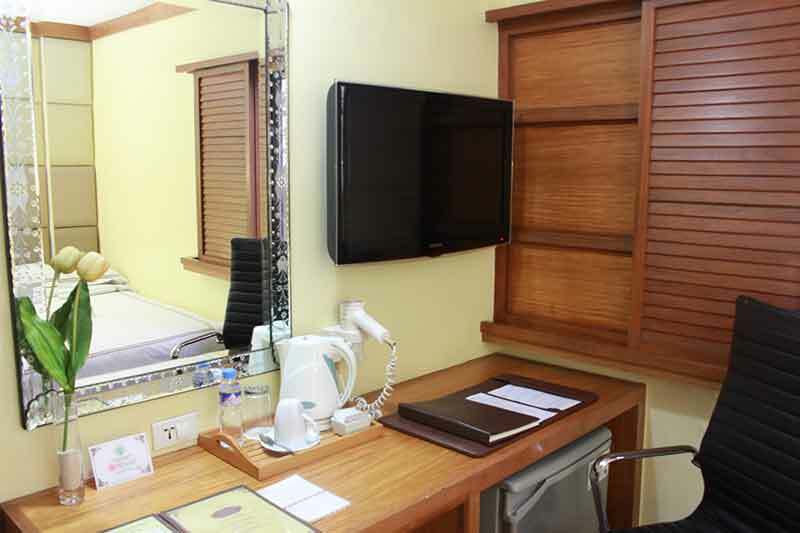 This accommodation is available only for walk-in guests. 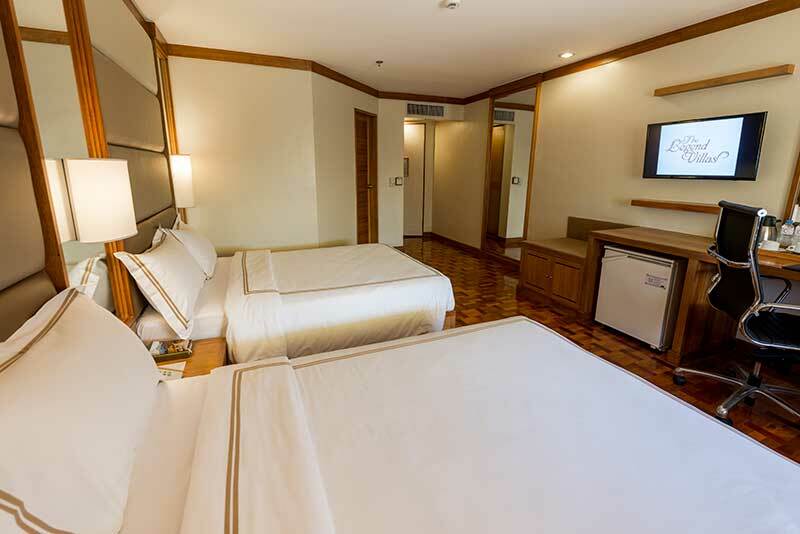 Click below to view The Legend Villas’ room rates. 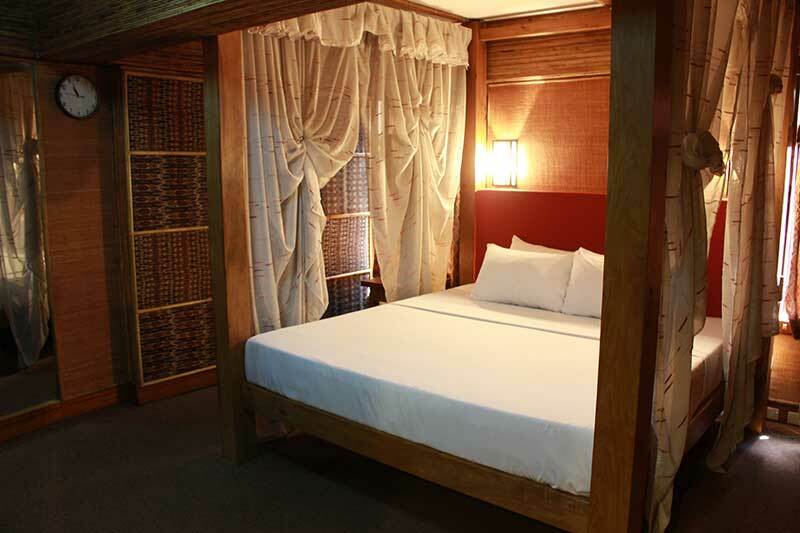 Book with us to get the lowest rates!